Okay, too soon? Seriously cannot contain our excitement any longer! We are nearly set for our travels, so we just wanted to share with you a quick update with where we are with our plans. We have nearly everything sorted, we've just got a few bits and bobs to sort out, but all in all we are pretty much set. We haven't planned what we'll be doing exactly, but we have a rough plan of what we want to do in each country as you can read here. We obviously have some things booked, but we do want some spontaneous typical travel moments, only one can hope. Accommodation almost all sorted with a mix of AirBnB's, hostels and even those unusual places. Talking about money exchange card, we thought it was worth to mention the free (virtual) card (£5 for a physical card) we decided to get and use, called Revolut. Instead of using your own debit card and getting charged a free for using your card in other countries, this card allows you transfer money into their card to use freely without any fees. This will be the first time using this card, so we will let you know how we get on. 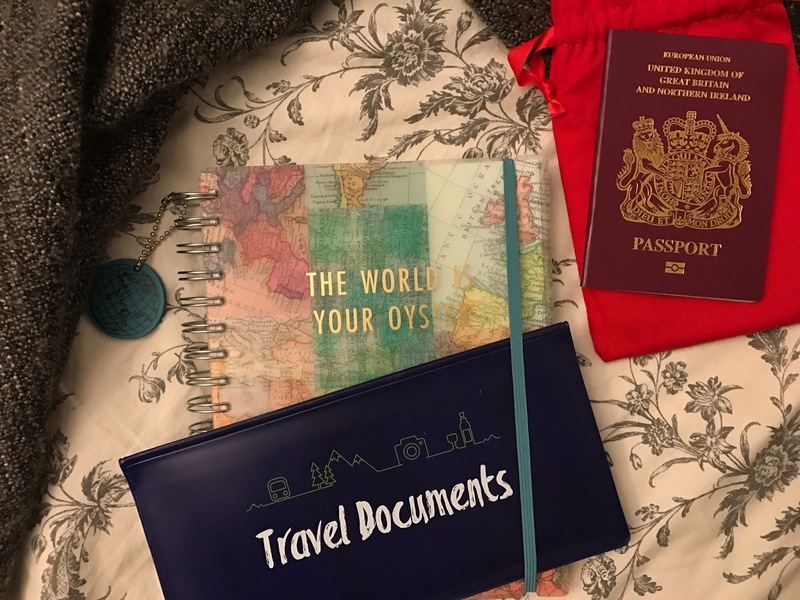 We are ready to show you what and how we've packed, and what essentials to have in our bum bag in the last two interrail posts we have for you before we actual set off. Aw, your excitement is infectious and I'm not even going anywhere! Always like a good packing post. Ahh I'm so excited for you, I cannot wait to see your pictures! Will you be vlogging the experience? Great tip about the Revolut card! I've just sent a link on to my fiancé for when we go to Greece at the end of the month, as we both get paid whilst we are there so have been trying to find the cheapest way to draw money out over there! Ooooh I can't wait to hear all about your trip! I had a travel cash called from MyTravelCash, which sadly have now closed down, and it was an absolute godsend when I was in Greece last year, having access to money without paying a fee was a real weight off my mind! I found the Post Office travel insurance to be great value and really comprehensive, if you're still shopping around for that! Oooooh how exciting!! I really want to go on holiday and your excitement is making me want to go even more!